The numbers are truly staggering. As I’ve mentioned in Part I of this series, it is estimated that 1/3 of all black males in the United States will experience a stint in state prison at least once. Also, young black females are the fastest growing population in prison today. The numbers have been rising for decades and they don’t seem to be slowing. 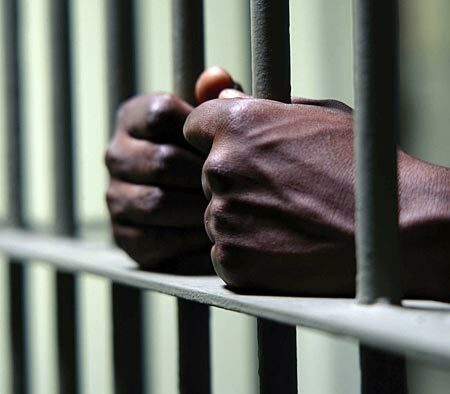 According to the U.S. Bureau of Justice Statistics in 2009, non-Hispanic blacks account for 39.4% and Hispanics made up 20.6% of the jail and prison population. These disparities between race and ethnicity garner several theories, and researchers who have examined the issue, determined that discrimination certainly plays a role—and not just with the arrest, but also occurring in the pretrial detention, prosecution, sentencing, and release decision-making. In fact, there is very little research available on racial bias in arrests. In the 1980s and ’90s, minorities experienced the results of the war on drugs more than any other race. In 1999, blacks made up 46% of the sentenced prisoners for drug abuse in both state and federal jurisdiction. Interestingly, the difference in penalties for abusing crack cocaine (mostly used by blacks) and powder cocaine (mostly used by whites) contributed to more arrests and longer sentences for blacks. Federal law states that one gram of crack was equivalent to 100 grams of powder, thus resulting in longer sentences for the crack user. In 2007, Hispanics made up 40% of federal offenders, a 24% increase from 1991. 48% of those were for immigration violations and 37% were drug offenses. Hispanics offenders are increasing rapidly and have violence rates that are higher than whites, but lower than that of blacks. Conflict Theory: Is said that the social economic forces in a society are the cause of crime; that criminal behavior is the consequence of the conflict which arises between competing groups within society; the haves vs. the have-nots. Strain Theory: Based on the work of Robert Agnew in the 1930s and ’40s, this theory proposes that social structures in a society lead to deprivations and equality among its population, thus encourage those affected, to commit crime. Social Disorganization Theory: Proponents of this theory accuse urban decay, or the breakdown of healthy urban communities to be the root of criminal behavior. Macrostructural Opportunity Theory: Believes that the US is still widely residentially segregated. Proponents of this theory opine that if neighborhoods were more interracial, crime would be less prevalent. Social Control Theory: This theory is considered one of the more popular theories. It proposes that those who commit crime, lack strong bonds with their social environment. Subculture of Violence Theory: Anthropologist, Walter B. Miller suggested that the high of rate of crime among African Americans stems from a unique racial subculture that views violence in a different manner than the rest of mainstream America. Systemic problems such as lack of education, lack of community autonomy, and lack of resources, are clearly impacting these statistics, as is the institution of racism. By putting more emphasis on success in school and programs for workforce development, and putting resources in these communities and in general breathing life and making whole these quite stagnant, at-risk living situations, we could give people the opportunity to break the cycle. Allowing returning citizens basic rights also seems democratic and just. Categories: Prison Today | Tags: minorities in prison, prison, prison overpopulation, writing | Permalink.